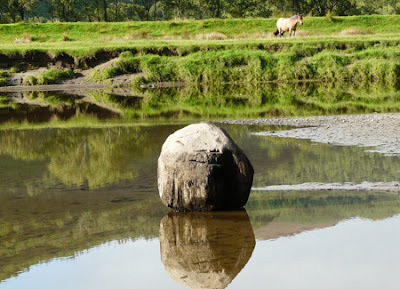 Is this the same wooden boulder first carved by David Nash and chronicled in Roger Deakin's book Wildwood? I think so but apart from asking David how can I be certain? Maybe I will. 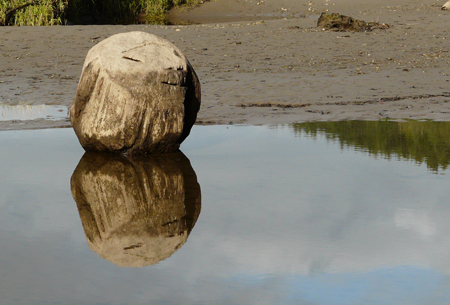 It's May, 2014 - did you ever ask David about the boulder - original or not? I did and it certainly is. It's still in the same position today.